BELTON – University of Mary Hardin-Baylor football players Teidrick Smith and Jon Isom have been honored by the American Southwest Conference for their performances in the Cru’s 56-9 victory over Sul Ross State on Saturday. Smith has been named ASC Defensive Player of the Week and Isom was named ASC Special Teams Player of the Week. The Cru is 5-0 overall and has a 1-0 record in ASC play following the win over Sul Ross. 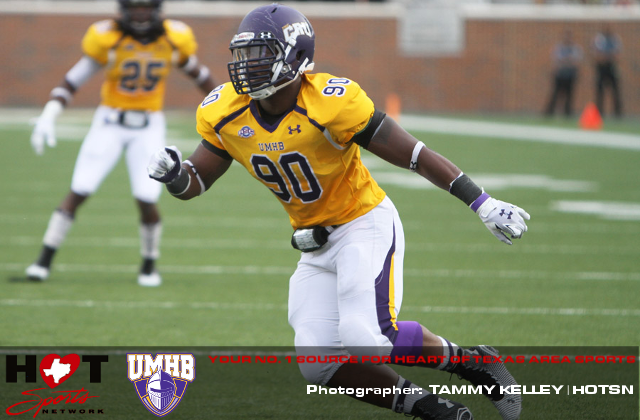 UMHB will return to action with a 1:00 PM kickoff against Louisiana College this Saturday at Crusader Stadium.